The Food Network has two simple formulas for whipping up a last-minute salad dressing. For vinaigrette mix 1 part acid, 3 parts oil +seasoning and for creamy mix 3 parts creamy, 1 part flavor + liquid to thin. 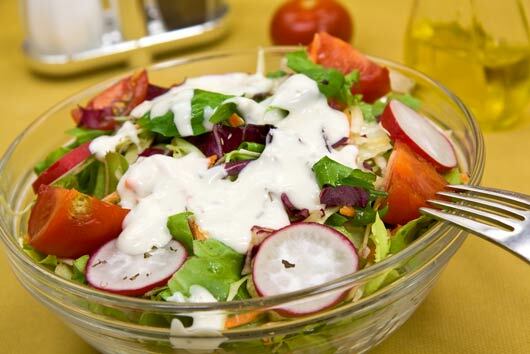 We’ve made it even easier for you by rounding up 5 delectable salad dressing recipes.